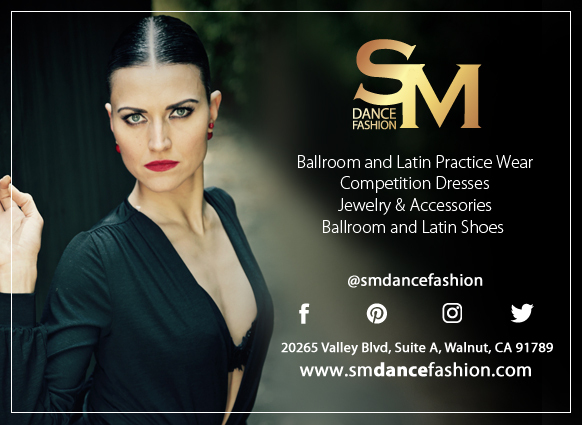 A new year brings a new ballroom competition season with it. “Season” is a bit of a misnomer because there is always a competition happening somewhere, but in my corner of the ballroom world, people seem to take some time off after the Holiday Dance Classic at the beginning of December and then come back with new goals in January. I consider 2017 a very successful competition year. I made it to three events, more than any previous year, and I did some of my best dancing to date. So naturally, I wonder if 2018 will be just as successful (or more) or if it will be a disappointment like 2016. I doubt this year will be a repeat of 2016 simply because I don’t have the same Life challenges I was dealing with then. However, I’m not coming into the new year with extra money like 2017. So…? One thing’s for sure – 2018 is going to be an adventure! I’m going to put it out there now that I’m aiming to do at least three competitions this year. Maybe one of them will even be Nationals (only been trying to get there since 2015)! There are a lot of competitions in Southern California, but unfortunately many of them occur close to each other and I don’t have time to save up the comp funds in between. So I have to pick and choose which local comps I enter partly based on how much time there is between them. Teacher has already proposed returning to Emerald Ball. We last entered that competition in 2015. I realize now that it was my last bronze-level competition. It would be nice to go back and see how I fare at the silver level. A small part of me is reluctant to set competition goals, specifically the ego that got knocked down hard by my 2017 placements and doesn’t want to risk another beat down. While that voice was loud and dominating a couple months ago, it’s been reduced to a nervous whisper that disappears almost as soon as it arrives. I’ve put my trust in my ability to push through. My confidence has grown quietly as Teacher and I have gone through analysis, diagnosis and treatment of my dancing over and over again. If you had witnessed one of my lessons over the last few months, you may have thought I looked so serious and wasn’t enjoying myself at all. Isn’t dance supposed to be fun? Absolutely, but we’ve transcended “just fun.” I jokingly asked Teacher if smoke was coming out of my ears at our last lesson because my brain was working overtime to translate his guidance into the correct actions in my dancing. I revel in that hard work though, and getting into the nitty gritty, because it actually pays off. Over the last few months, I’ve hyper-focused on improving my dancing through my lessons and solo practice. I wouldn’t be surprised if my ears did get a little smoky. All that concentration and repetition of the same steps may sound boring and tiresome. I can feel the difference though. I ronde my right leg over and over until finally I can feel how my hip is supposed to change through the movement and I can feel how much more grounded and connected with my partner I become. All that hard work and thinking turns into dancing! It’s like climbing a mountain and finally reaching the top. You might be exhausted and sore, but you also feel liberated by your accomplishment. Am I making any sense? It’s not all about making a comeback in the competition scene by the way. After my ego licked its wounds for a bit, I decided I needed to change who I was dancing for. Obviously, I dance for me, but at competitions, I was also dancing for the judges. I worked to get them to notice me (they only have a few seconds so you have to make the time count!). Worrying about the judges though may have been distracting. If I’m wondering if the right people are watching me dance, then I’m not just dancing and my performance quality suffers. So I decided to stop worrying about the judges. I would dance for me and for the people who love and support me. I want nothing more than to dance my absolute best for that audience (yes, that includes myself!). I’m finding it difficult to explain, but that desire has made all of the hard, tedious work on things like dance technique easier and more enjoyable. I’m only concerned with my personal journey, and so I’m living more in the moment. Each tweak of my dancing leads to another discovery and feeds my passion. I guess you could say I’m geeking out on ballroom dancing. It’s like someone working endless hours on an invention. To an outside witness, they’re just tinkering with a bunch of junk, but that inventor sees the possibilities. She (or he) recognizes and celebrates every little tinker that brings her closer to her dream goal. I’ve spent years tinkering, trying to bring my vision of a dancer to life, and while it might not appear this way to others, I’ve made significant progress in the final months of 2017. I have always appreciated and valued the small pleasures in life, like those little moments that end up carrying great weight in your memory. Ballroom dancing is full of those little moments, and I’m embracing as many as I can. Time will tell how many competitions I can financially afford this year. However many I enter, I’m going to geek out on my ballroom dance knowledge and dance for me and my peeps. That’s my competition goal. P.S. – The next video for the Solo Practice Guide, Practicing at Home, is being released THIS SUNDAY (January 7), so if you haven’t signed up yet…what are you waiting for? Love this part: “I jokingly asked Teacher if smoke was coming out of my ears at our last lesson because my brain was working overtime to translate his guidance into the correct actions in my dancing. I revel in that hard work though, and getting into the nitty gritty, because it actually pays off.” I wish some of my students would read that because it is something all dancers have to go through, but you have to make sure you don’t get discouraged. I hope you continue to grow and learn as a dancer in 2018! Thank you Caterina! Same wishes to you. 🙂 And feel free to share the blog with your students!